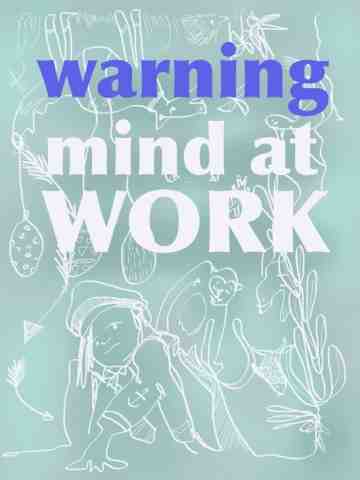 Monkey Mind, I once heard this used as a term for creative people's over active brains. So, so many ideas - whenever there is a suggestion of a problem ,your on it " you could do this, or this"
Seeing things differently than others - because your mind is unsettled you can look at multiple viewpoints, be devils advocate and experiment with possible outcomes. Bright ideas come like a spark, strong and instinctive - following the gut feeling can be so empowering when you see the finished results. Many projects, unlikely to finish them all, there is always another thought trying to jump in front. Cluttered brain - often it's a case of sifting through the debris to find the important fact or detail to move onto the next stage. Strict focus and concentration required to participate in the average world of commerce, deadlines, schedules and meetings can stop the thread of imagination and stifle the process. Creative block feels like you have lost yourself. With a hundreds ideas an hour your brain feel powerful and useful. A dull lifeless imagination can be carried round like a huge stone. DO YOU HAVE A MONKEY MIND? HAVE YOU TRIED TO TRAIN IT? It's swinging through the trees rather than plodding on the ground for me.